This man nicknamed ‘Raju’, a native of Sultanpur, 136 km South East to Lucknow comes daily to sell Flutes near Sector 54 Chowk Rapid Metro Station, Gurugram. He comes from Sector 9 old Gurugram to Sector 54, Gurugram every day through a city bus via Golf course road. He is routine to come near Sector 54 Chowk rapid metro station daily by 11 am and his business as usual starts standing in the sunny day till 9 pm without breaks. 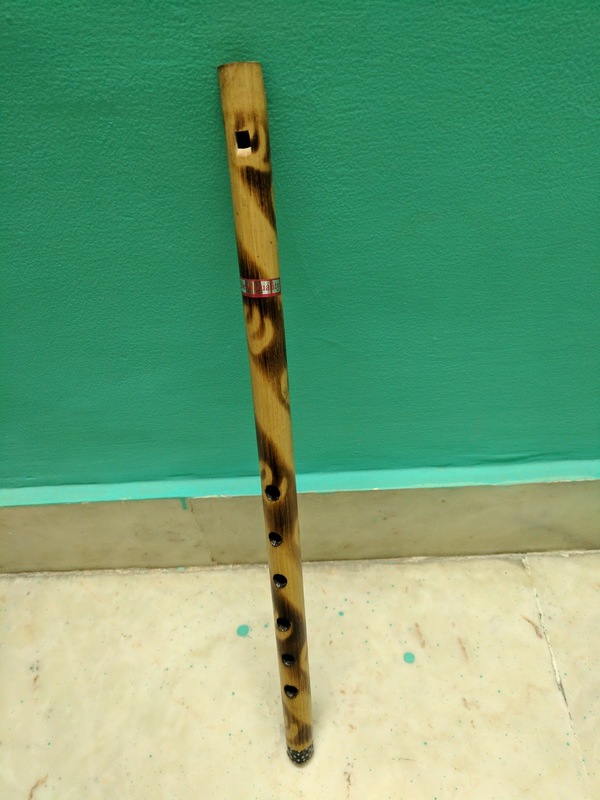 The man keeps playing his flute all day long to woo visitors coming to Bikanervala, The Indian grill and people working at Business Towers. I happen to saw him many times and finally, couldn’t resist going to him, just to ask him, how he able to stand so long hours every day, irrespective of so odd days (chilly winters to hot and humid summers). 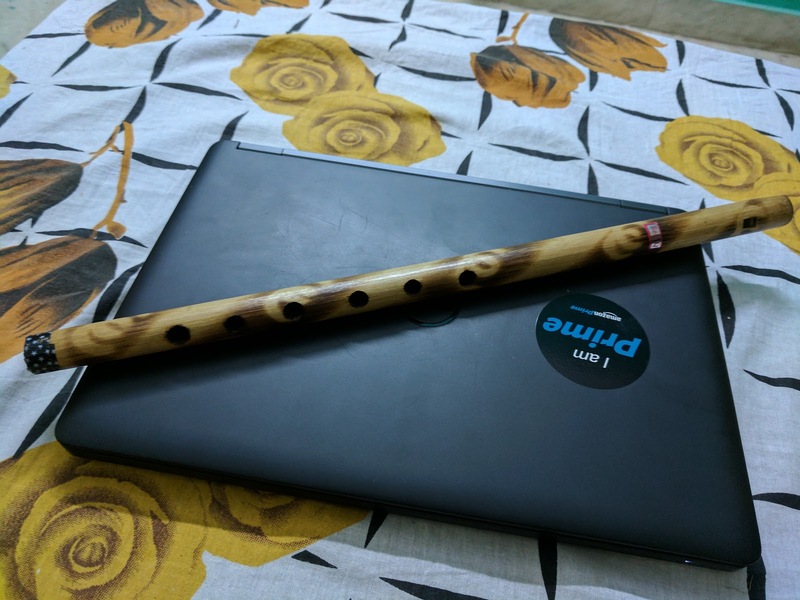 It was unbelievable to listen to him when he was speaking, the guy whose flute sound can be clearly audible in 200 meters circle from where he stand was unable to speak as loud so that a person standing 2 to 3 feet away could hear him properly, his voice goes so hoarse playing flutes day long. What if I say, he don’t even bring food along but borrows some water from the security guards of the Business tower to satisfy his thirst and keep playing his flutes all day long every day from 11 am to 9 pm. What if I say he hardly manage to attract 8 to 12 prospective customers, playing his flute and finally able to sell just 3 to 5 flutes, after standing 10 hours a day and playing his flute all along the course of his business as usual hours. I urge everyone reading this story, please don't bargain with these guys just pay them the price they ask for their products, trust me they hardly make enough money to save, they just earn enough to have a meal a day and continue their business as usual. 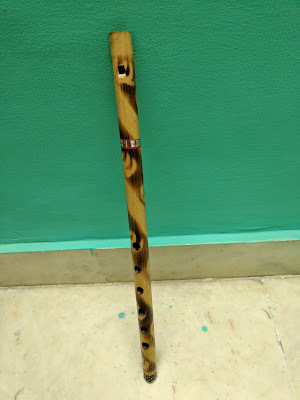 I brought one home with the first price he asked me to sell his flute.